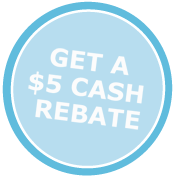 Real Simple: New $5 Cash Rebate! **You can check out more details about this rebate offer here. 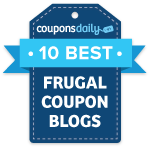 To sweeten the rebate further, pair the items above with coupons and wait until they go on sale. If you’re in need of a ham for the holidays, you can turn purchasing Honey Baked Ham into a pretty great deal. First, go here and fill out the simple form to request a $10 off an 8 lb or larger Honey Baked Ham coupon. After purchasing your ham, submit for the Real Simple rebate. That’s a total of $15 off one Honey Baked Ham!